35th anniversary of Luke Kelly's passing. Today, January 30th, marks the 35th anniversary of Luke Kelly's passing, may the great man rest in peace. 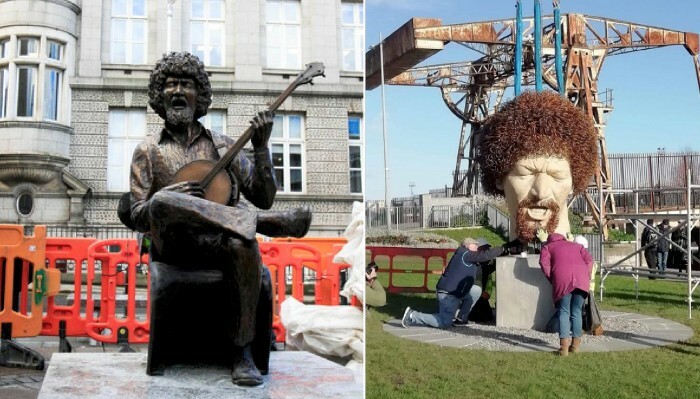 Two new statues of Luke are being unveiled today and our own George Murphy, whose birthday happens to fall today also, will join a stellar cast of Irish Artists at Liberty Hall Theatre in Honouring Luke at a very special concert to coincide with the unveiling of the two statues. You can read more about the statues and unveiling events here. Here is The High Kings tribute to the legend that is Luke last week, a great version of 'The Night Visiting Song'.